Crawford vs Ridgedale 2016, Photos by Don Tudor. Colonel Crawford linebacker Blake Treisch puts a bonecrushing hit on a Ridgedale ballcarrier Friday night during the Eagles’ homecoming game at Gary Field. Photo by Don Tudor. Colonel Crawford running back Trevor Shawber carries for a big gain against Ridgedale at the Eagles’ homecoming game Friday night at Gary Field. Photo by Don Tudor. 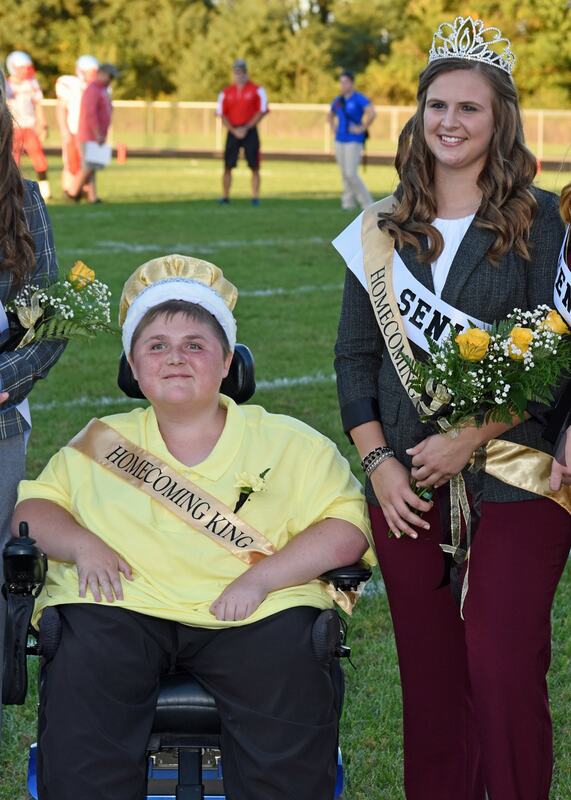 Cade Coffman and Abbi Teglovic were named Colonel Crawford High School Homecoming King and Queen during pregame ceremonies Friday night. Photo by Don Tudor.